FRANKSTON YCW have sent Edithvale-Aspendale crashing out of the Division One finals with a hard fought come from behind victory. The game got off to a tense start, with both sides trading blows in an incredibly tight first half. The Stonecats held a three point lead going into the half time break. In the third term, the Eagles blew the game apart with a five goals to one quarter putting Frankston YCW on the ropes with a quarter left to play. 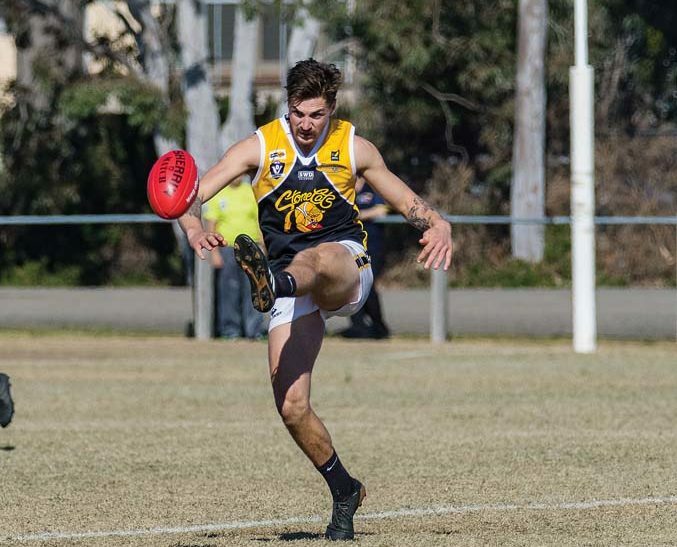 Although they looked down and out going into the final term, the Stonecats fought back with everything they had, and snatched back the lead late in the game to keep their premiership hopes alive. It certainly wasn’t an easy task, but Frankston YCW overcame their 20 point deficit to claim an 11.8 (74) to 11.16 (82) win. Frankston YCW will continue to have to do it the hard way, and will face the loser of the Mt Eliza v Pines match at PLACE next week. Although there is no margin for error for the Stonecats, the side that won seven of the last eight Nepean division premierships showed they can never be counted out. Paul Minchington put on a stunning performance for the Stonecats, booting five majors to win the game for his side in a best on ground performance. Christian Ongarello also performed admirably, while Macklin Raine gave his midfielders first use of the ball all day. The result is a tough one to swallow for Edi-Asp, who were in 2nd place only a few weeks ago before injuries hit.